Tuigtear go bhfuil Rialtas na hÉireann agus Rialtas na Breataine ag beartú tús a chur le cainteanna arís féachaint an bhféadfaí feidhmeannas Stormont a chur ar bun arís taobh istigh de choicís. Deir an Chomhairle um Oideachas Gaeltachta agus Gaelscolaíochta (COGG) go dteastaíonn athbhreithniú iomlán a dhéanamh ar an scrúdú cainte Gaeilge san Ardteistiméireacht. Dúirt ceannaire Shinn Féin Mary Lou McDonald go raibh an ceart ar fad ag an Athair Martin Magill nuair a dúirt sé ag searmanas sochraide an iriseora Lyra McKee inné go raibh sé in am ag polaiteoirí sa Tuaisceart na fadhbanna polaitíochta ansin a réiteach. In the case of music/dance schools teaching traditional music, singing and dancing, in which the schools are independent entities and in which organisers, teachers and students are paid up members of Comhaltas, are those organisers, teachers and students covered by the insurance that comes with membership of Comhaltas? The advice from Comhaltas is that regarding teachers who are employed and remunerated by a Comhaltas branch, and who are currently Garda Vetted, they are covered by Comhaltas insurance. If they are not employed and remunerated by the branch they are not covered. In the instance in which Comhaltas uses the services of teachers, who are not employees of Comhaltas, they are considered to be sub-contractors and they must have public liability cover in each of their own names. Their insurers must provide indemnity to Comhaltas. Comhaltas has an obligation to ensure all sub-contractors are Garda vetted. Music/dance schools which are not run by Comhaltas, notwithstanding that students, teachers and organisers may be members of Comhaltas, are seen as being entities in their own right. As such they are responsible for their own affairs. As Craobh Loch Garman is not involved in teaching traditional arts of any kind at present we have not had to deal with the above scenario. However, as one of the aims of Comhaltas is to promote and preserve traditional music, dance and language through teaching, and other means, it is something that we may face sooner or later. Regarding events which a Comhaltas branch may organise, once the correct protocol is followed, such events have public liability cover through Comhaltas. It should be noted that an independent music/dance school organising an event, notwithstanding that all its students, teachers and organisers are paid up Comhaltas members, cannot rely on Comhaltas insurance cover. It may, however, be possible to have cover for such events where they are organised through, or officially sanctioned by, the branch executive and follow the necessary protocols. Postscript: Comhaltas Administration has since us a note to say that while they acknowledge the information they sent us is that which the organisation's insurers provided, there may be developments in the near future. The popular Fleadh Cheoil series will return to our screens on April 5th 2019 with 6 programmes showcasing the best of Irish Traditional Music from Fleadh Cheoil na hÉireann 2018. As Drogheda hosts the competition for the first time, John Creedon returns to the helm and is joined this year by the well known and talented musician and singer Muireann Nic Amhlaoibh from Dingle in County Kerry. The 47th Annual Scoil Éigse organised by Comhaltas takes place in Drogheda, August 11th to 16th, the week preceding Fleadh Cheoil na hÉireann. At Scoil Éigse – CCÉ’s annual international Summer School students of all ages register for the various instrumental music, singing, dancing and Irish language classes. RTÉ Radio 1 Céili House will be broadcasting live this Saturday Night (2nd February) from Cultúrlann na hÉireann featuring artists from the 2019 CCÉ Echoes of Erin, Tour of Britain group. Tune into RTÉ Radio 1 at 9.02pm or listen online at rte.ie. 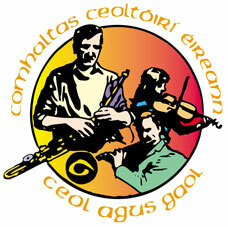 Comhaltas Ceoltóirí Éireann is the largest group involved in the preservation and promotion of Irish traditional music. We’re a non-profit cultural movement with hundreds of local branches around the world, and as you can read in our history we’ve been working for the cause of Irish music since the middle of the last century (1951 to be precise). Our efforts continue with increasing zeal as the movement launches itself into the 21st century. Is Ionad Gaeilge agus Cultúir é An Tobar atá suite i mBaile Loch Garman. Tá idir eagraíochtaí ceoil, Gaeilge, damhsa agus amhránaíochta lonnaithe ag An Tobar.